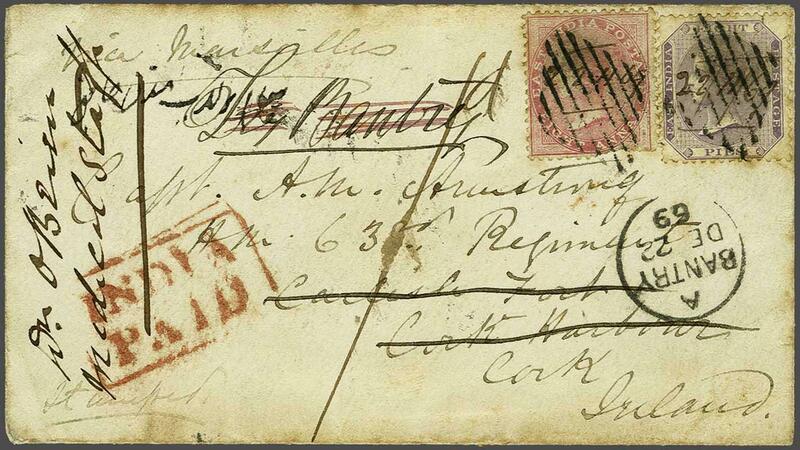 1865: 8 p. mauve and 1868 8 a. pale rose, Die II, fault at base, used on small 1869 envelope from Umballa to Ireland endorsed 'via Marseilles' tied by grid obliterators in black. Framed INDIA / PAID in red at left and reverse with Umballa, Bombay (Nov 27) and Midleton arrival cds's (Dec 20 and 21). 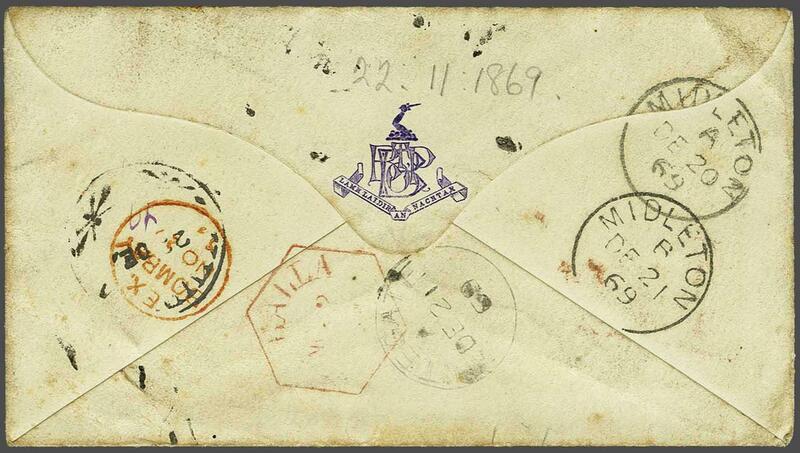 Readdressed with manuscript 'Try Bantry' with Bantry cds (Dec 22) and manuscript '1d.' charge.